Ideal for people with a small volume of mail. Ideal for those who receive a moderate volume of mail. Unlimited use. No mailout and handling fees. The Mailout fee is a flat fee charged every time we forward mail to you, no matter how many pieces of mail. For example, if we collect 10 pieces of mail and forward them to you once a month. We would charge the mailout fee once(for example, $5.50 in the low-use plan) + actual postage. You can have each new letter received in your mailbox scanned and e-mailed to you as a PDF file. You no longer have to wait on snail mail or have to pay expense postage on mail outs. Every letter received will be scanned and sent directly to your email address and uploaded to your account. In your account you can select the letters individually that you would like scanned for you. $2 to scan a 11-20 page piece of mail. I am very happy with this service. They are prompt and very quick to respond to requests and questions. I would recommend this to anyone who travels a lot or lives out of the country. Great service, love the direct saving of scanned mails to Dropbox! Great service for reasonable price! 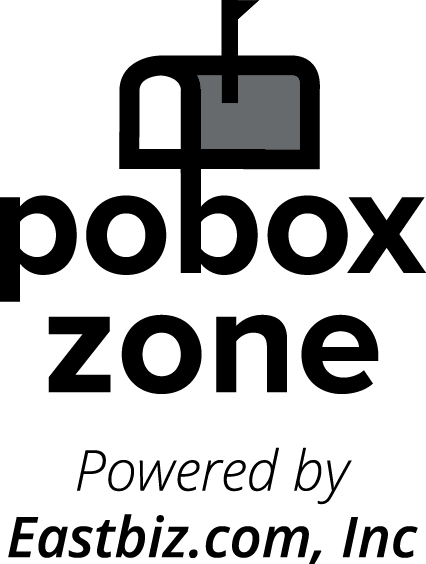 POBOX zone services are great! Easy to use. Cool service, should be in more locations.